Anyone keen to emulate the original ‘007’ will need access to some of Goldfinger’s dubious loot. 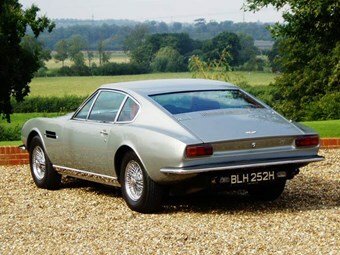 DB5s are rarely seen in Australia and the next one offered for sale will likely exceed $1 million. 1970s-80s V8s look brutish and perform that way as well, yet all but the rare Vantage and Volante remain below $250,000. Less exclusive and almost affordable are recently-arrived imports including the film-connected V12 Vanquish. Most come from the UK where rust is an ever-present threat so they require very close inspection. Also ensure the car comes with all its import and local compliance documents. DB7 values remain high when compared with the money being asked for later-model V8 and V12-engined cars. Numbers from our 2018 Euro & Brit Car Value Guide. A V8 brute in a hand-made suit. Is this rear-driven stunner a future classic?